Inspiration for your citytrip to NY. We have so much to share. The House of Yes. This nightclub is not only the place to be in New York City if you're into deephouse, trance or everything in between, it also hosts weekly deep house yoga classes. A 7 pm yogaclass in a Brooklyn nightclub, somehow that sounded awesome. And that's exactly what it was, awesome! A nightclub, a yogateacher, a dj for the tunes and a vj for visual effects ... we had to settle into that all for a little bit but were quickly at ease. Shaktiyogany's' Julie Dohrman led us through a wonderfull yogaclass. DJ Tasha Blank felt the vibe and played a super set. The atmosphere, Julie's voice and Tasha's tunes, what a great combination. 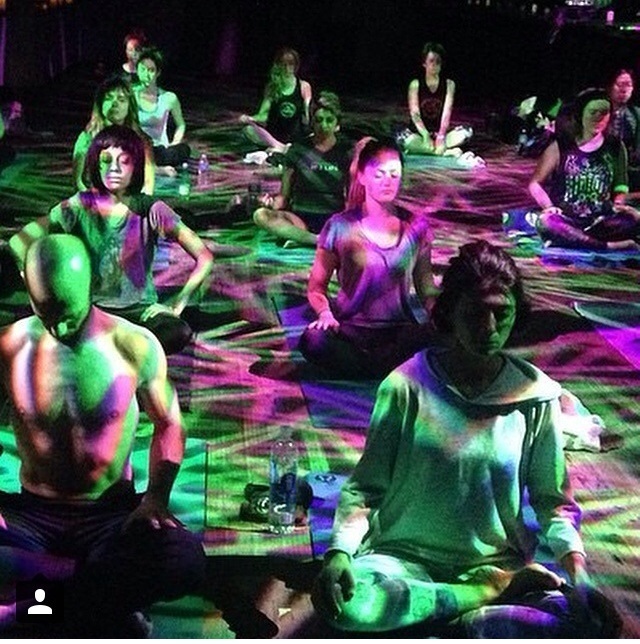 Our Deep House Yoga experience took place in "Verbotennewyork". A club in Williamsburg right across Rooftopbar The Ides (on the 6th floor of the Wythe Hotel - if you ask me there is no better view on Manhattan from behind the bar there). That place shut down and the deep house yoga moved to the House of Yes in Bushwick. Check it out and register online at the websites of House of Yes or Deep Beats Yoga. Seeing New York on a Citibike is one of my favorite things to do. Let me tell you why. After a while you don’t even hear the sirens, horn-honking cars and the buzz of NYC. Peace and quiet. Sometimes you really long for that while exploring New York City. There I went, to the 3rd floor of Chelsea Piers, to hit golfballs in the Hudson. In a big bright classroom we met Ximena. A small powerwoman with a soft voice. Looking for a private guided great tour through New York? Get a Big Apple Greeter. 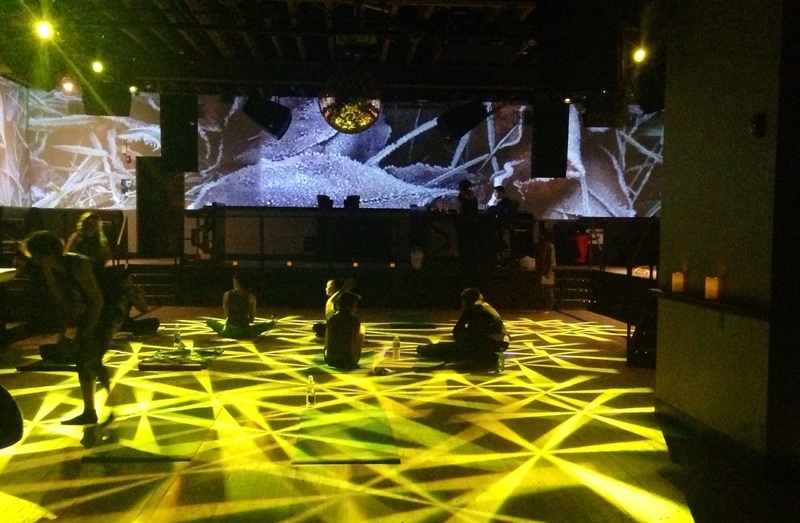 A 7 pm yogaclass in a Brooklyn nightclub? Welcome to Deep House yoga. I did the Sensational Park and Soul Tour through Harlem with Bike the Big Apple. A night at the Opera. The Metropolitan Opera at Lincoln Center in New York City. Marathon Madness in New York City. My tips on how to prepare for the 26.2 miles! 10 classics in New York City. I’m sure you’ll want to see at least a couple of these. From the Top of the Rock observationdeck you get to see the Empire State Building.